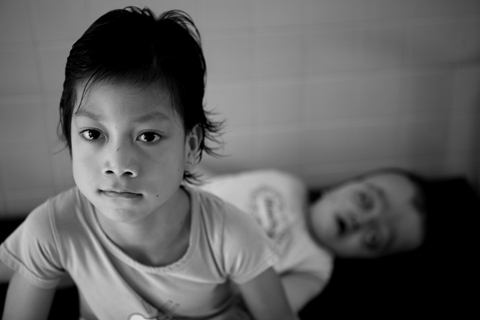 Photographs depicting today?s victims of Agent Orange have won this year?s AOP Student Photographer of the Year title. Michael Carroll, a photojournalism student at the London College of Communication, was crowned the winner at a ceremony in central London last night. The award is designed to help launch a career in professional photography. Agent Orange is the name given to the herbicide used by the US military during the Vietnam War. ?I was drawn to the Agent Orange story through an interest in human rights? three generations later people are still being born with awful birth defects,? explained Michael. Judges described his winning images as ?disturbing, sad and uplifting?. Prizes include an Epson Stylus Photo 2400 printer, publication in an AOP awards book and the chance to assist a professional photographer on a shoot.